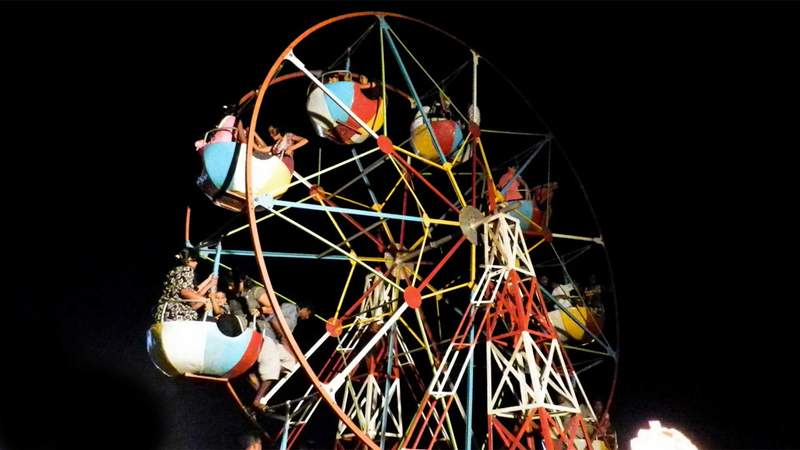 A joy ride on a ferris wheel turned fatal for a woman and her daughter as the bucket they were in crashed, killing the mother and critically wounding the daughter. “The incident had happened at a carnival in Naiwala, Veyangoda at around 11.00 a.m. yesterday,” Police said. The ferris wheel bucket in which the 47-year-old mother and her 13-year-old daughter were sitting was at the very top of the ferris wheel when it detached and crashed. The victims had been rushed to the Gampaha Government Hospital but the mother had succumbed upon admission to the hospital. “The victim has been identified as Siyabalapitiyage Disna Jaanaki Ganegoda, a resident of Siyabalpitiya, Kotugoda. Her daughter was transferred from the Emergency Care Unit of the Gampaha Hospital to the Colombo National Hospital due to the extent of injuries,” Police said. A Police investigation is being conducted under the supervision officer in charge of the Weyangoda Police Station.